Located at 21st Street and College Avenue off of Girard Avenue in Philadelphia, Girard College is an independent boarding school for students in first through twelfth grades. Girard College was built in 1833 under the direction of the wealthy Philadelphia merchant and philanthropist Stephen Girard. As specified in his will, the school was funded by proceeds from Girard’s estate. The Girard College campus features Greek revival architecture and sports a ten-foot wall around the entire perimeter of the school, which Girard requested in his will. The school opened in 1848 and was added to the National Register of Historic Place in 1974. Upon his death, Stephen Girard desired to donate most of his considerable fortune to a good cause. Instead of leaving money to his family or giving a generous endowment to an Ivy League University, as was popular at the time, Girard sought to help increase educational opportunities for poor fatherless boys. Girard envisioned a school focused on teaching practical subjects, which would help prepare students for trade or business upon graduation. Upon his death in 1831, plans to build Girard College began. 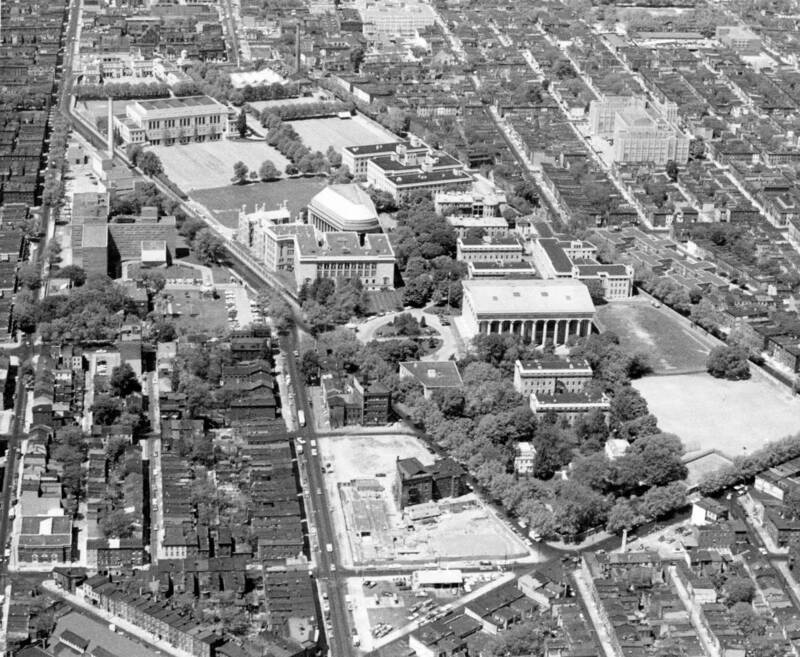 In the 1830s and 1840s, the plot of land on which Girard College was built was a piece of open farmland on the border of Philadelphia city limits. However, by the latter half of the nineteenth century, increased urbanization and immigration began to change the boundaries and landscape of the city. By the early 1900s, Girard College was located firmly within Philadelphia in the middle of a residential city neighborhood that had grown up around it. After World War I, as many African Americans migrated to the urban North, Philadelphia became home to pockets of African-American communities, including North Philadelphia. Over time, the neighborhood surrounding Girard College became predominately African-American in sharp contrast to the all-white boarding school that lay behind its towering walls. Girard’s will had stipulated that a school be built for “poor white orphan boys, ages six to ten” and Girard College thus remained segregated for its first hundred years of operation. 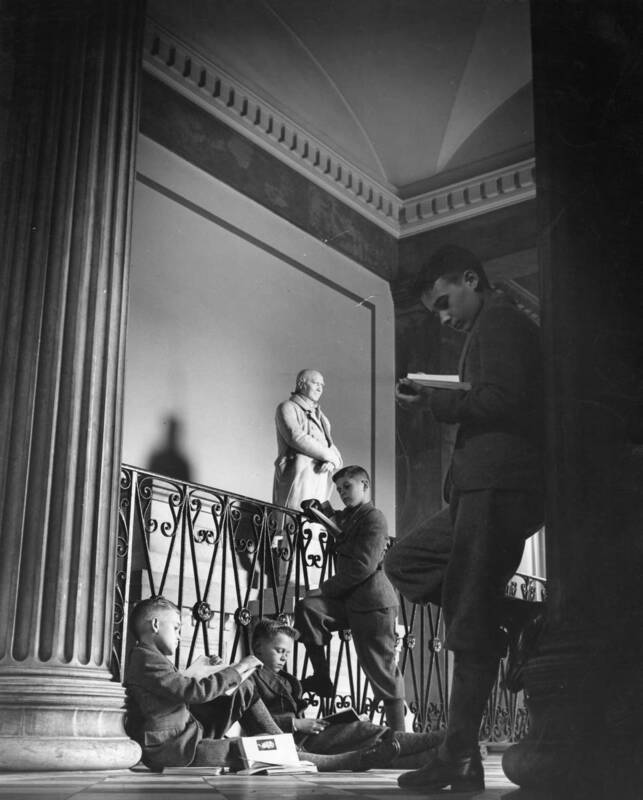 By the 1940s, African-American boys applied to Girard College, but were rejected based on the terms of Girard’s will. In the wake of the landmark Supreme Court ruling in Brown vs. Board of Education in 1954, which desegregated public schools, six more African-American boys applied for admission to Girard College. 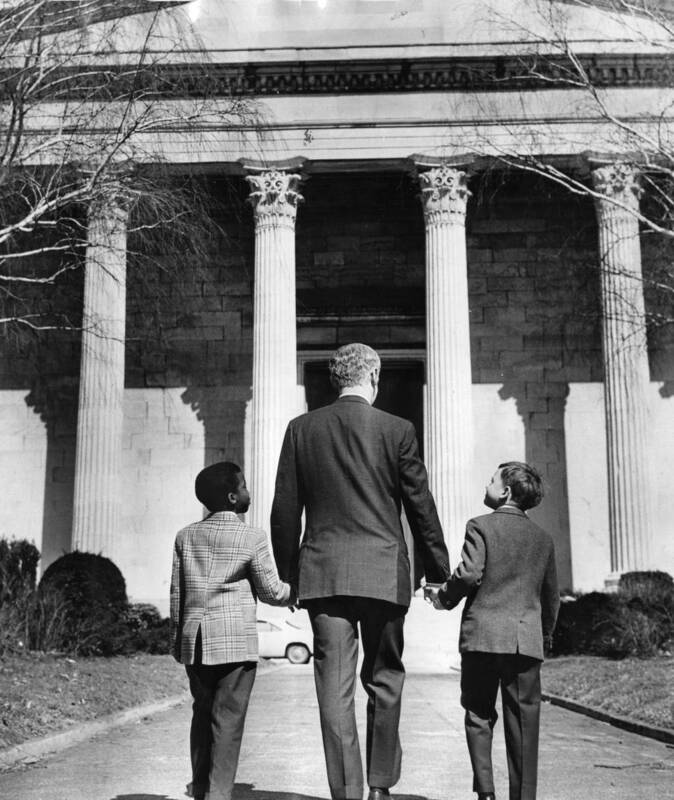 The boys were denied admission, but prominent African-American lawyer Raymond Pace Alexander took up their cause and unsuccessfully challenged the school’s racial ban in a number of court cases from 1954 to 1958. 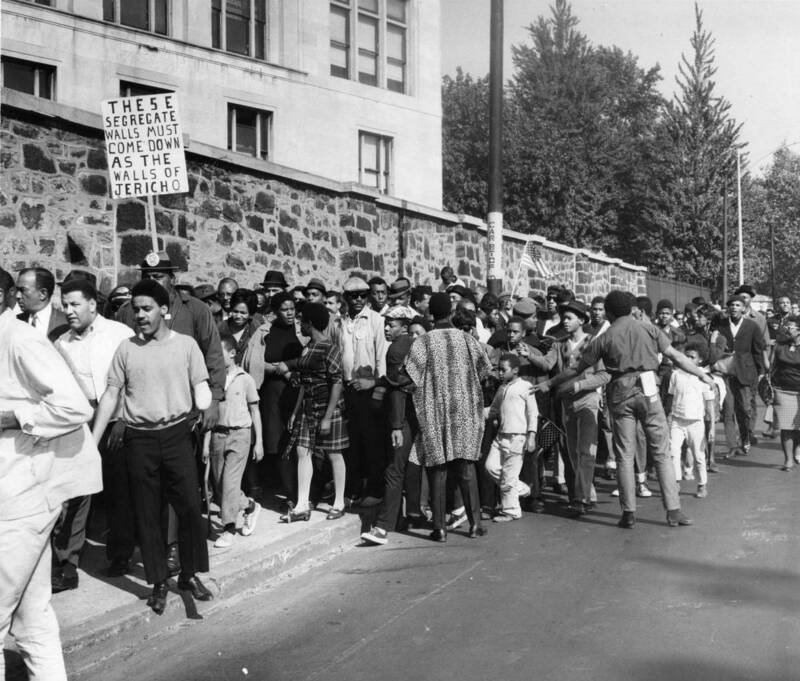 Girard College remained segregated well into the 1960s and in 1965 the Philadelphia NAACP embarked on a protest campaign outside the school. Led by Cecil B. Moore, President of the local chapter of the NAACP, the demonstrations lasted seven months and finally concluded in December 1965 after the city of Philadelphia once again filed suit against Girard College’s admissions policy. Following several years of legal cases, Girard College finally ended its racial ban in 1968 after the courts ruled that the school was “permanently enjoined from denying admission of poor male orphans on the sole ground that they are not white, provided they are otherwise qualified for admission.” The first African-American student enrolled at Girard College in 1968; later, more amendments to the admissions policy would allow girls, as well as students who were not orphans, to attend the school. The first female enrolled at Girard College in 1984. To view primary source materials about Girard College and other topics in Philadelphia's civil rights history, search our collections. “Fellowship Commission--Subjects--Stephen Girard and Girard College--1885, 1956-58.” Folder 026, box 64, Acc. 626. Fellowship Commission records. Urban Archives, Temple University Libraries, Philadelphia, PA.
“Girard College--Suits and Court Cases--1965” folder. George D. McDowell Philadelphia Evening Bulletin newspaper clipping collection, Urban Archives, Temple University Libraries, Philadelphia, PA.